Welcome to Brinestorm, a playground for sea kayaking thoughts, reviews, stories, and opinions. It will cover news, gear, and techniques. It will describe interesting trips. It will offer reviews. 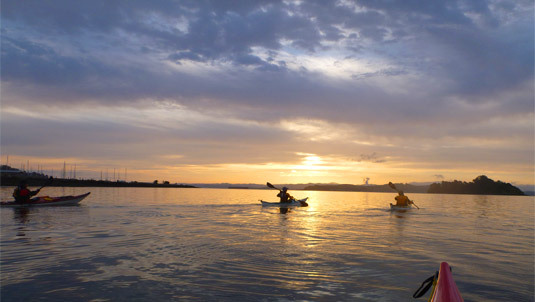 It will reflect on the state of sea kayaking as it is today. It won’t diss European paddles, nor will it spare tuiliks from the occasional joke. It won’t wonder whether it’s spelled kayak or qajaq. It won’t badmouth calm-water paddlers or set extreme ocean whitewater badasses on pedestals. It won’t ignore the past, but it will strongly embrace the future. It will sometimes question what this pasttime is, what is is becoming, and why. But sea kayaking is more than putting your paddle into the water. For me, it also involves equipment, technique, camping, eating, drinking, environmental stewardship, ludicrous behavior, and the deep relationship between humankind and the sea, in its myriad moods. Did I mention drinking? So, please join me on this journey. It’ll be interesting, informative, silly, stupid, and salty. By making comments on posts and following @brinestorm on Twitter, you can join the conversation and help brainstorm the future of paddling the briny deep. Nice, blog, Nathan! I look forward to following it as it grows.